Have you ever wished you could do something crazy at work, without getting fired for doing it, really? Well, one guy got to live that dream – though it was a special case as his boss could not really fire him on that day, anyway, because it was already his day at work! 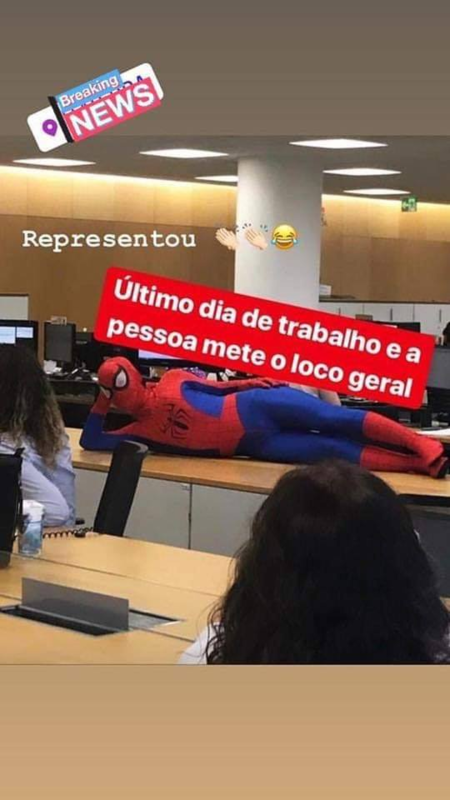 In Imgur, user @ksguile shared photos of a bank employee who showed up on his day of work as Spiderman at an undisclosed bank in São Paulo, Brazil. It turned out the guy had already handed his resignation in. On his last day of work, he decided to prank everyone and really live his dream of doing something crazy at work. He made everyone laugh with his antics; though the captions on the photos claimed he also drove his boss mad that day. LOL. 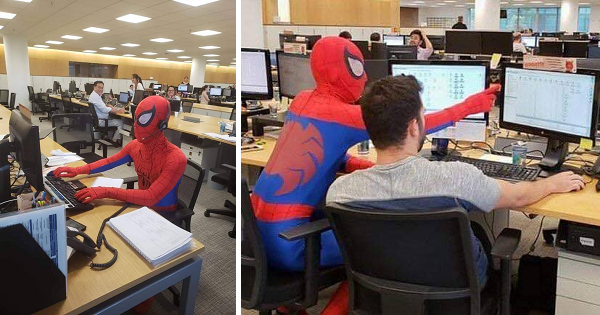 The guy had fun on his last day at work – and his coworkers also had a good laugh posing for photos with the resident Spiderman. 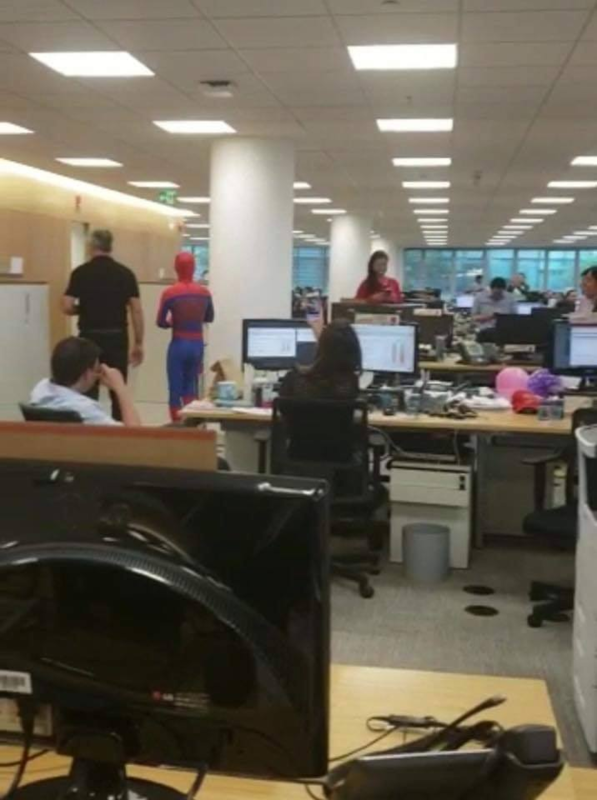 To prove that he’s really a friendly guy, Spiderman handed out candy to his co-workers as he bid them goodbye. Needless to say, this guy had the best last day at work! 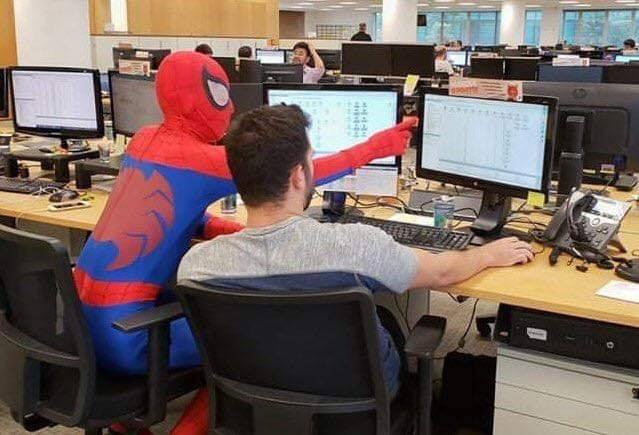 The prank worked as his coworkers shared photos and videos of his Spiderman antics. 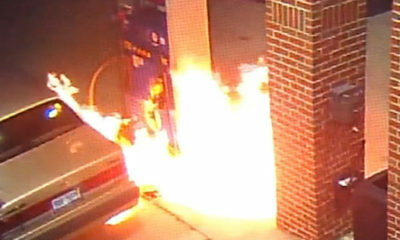 We’re not so sure if they were able to get much work accomplished that day. 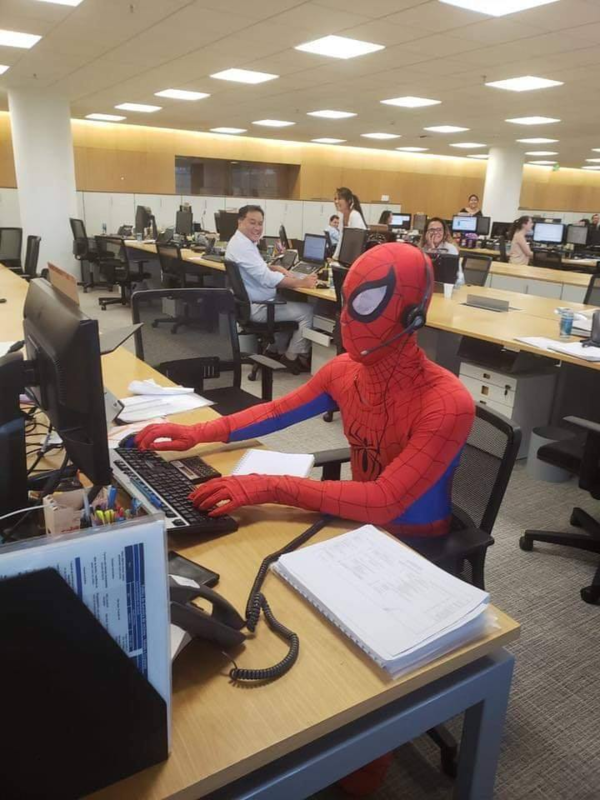 Netizens were wondering why there were no posts from the bank’s customers about Spiderman being at the facility when they got there. Seeing so many inquiries, @ksguile explained that this ‘Spiderman’ works in a bank but not in the area where he gets to personally deal with the customers. “People… it is not the area where people are personally attended, but the area of analysis, online attendance, these things,” @ksguile wrote in update to the post. Would you dare do this on your last day of work?